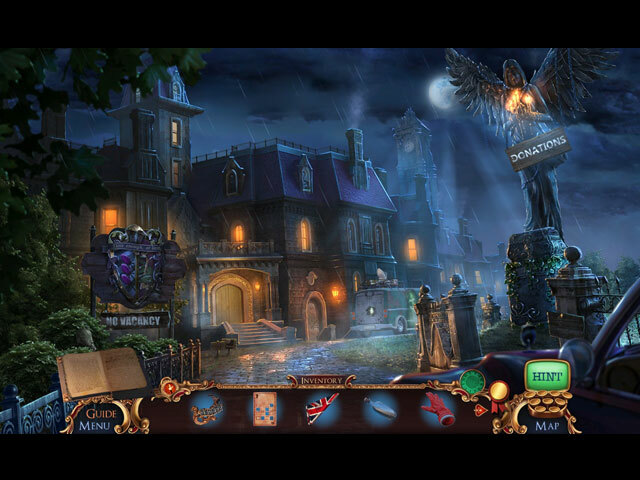 Our Mystery Case Files Broken Hours Collector’s Edition Walkthrough is bursting with tips and info to help you solve another paranormal mystery. Your fellow agent has disappeared under suspicious circumstances. Travel to Huxley Boarding House to follow the clues and save him! Hurry because the clock is ticking and adherence to the schedule is extremely important in this creepy manor where time seems to stand still. 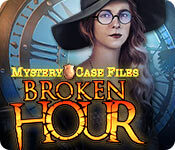 Throughout your investigation you will encounter several challenging mini games, puzzles & hidden object areas and if you need a little help along the way feel free to turn to our Mystery Case Files Broken Hours Collector’s Edition Walkthrough to help you out! Welcome to another sinister adventure of the paranormal in this newest edition of the flagship series Mystery Case Files Broken Hours Collector’s Edition Walkthrough! Venture into Huxley’s Boarding House where time is literally of the essence. In this lavish Victorian retreat you will feel like you’ve been whisked away to a time long forgotten, a place to escape the hassle and interruption of technology and immerse yourself into the experience of the moment. The guest list is extensive in spite of the reports of suspicious and creepy activity taking place there. Your colleague George has been a guest at this establishment and has now become part of its lore, as he is now missing. This is precisely what brings you into this haunting adventure where adherence to time and scheduling is of the utmost importance. While searching for George you encounter the incomparable Meredith Huxley the dead former owner of this fine establishment. Dig in to find out what secrets she holds. Pay close attention to your surroundings as clues abound! The games are interesting and varied as there is an assortment of logic, matching and multi-step puzzles to keep you busy. 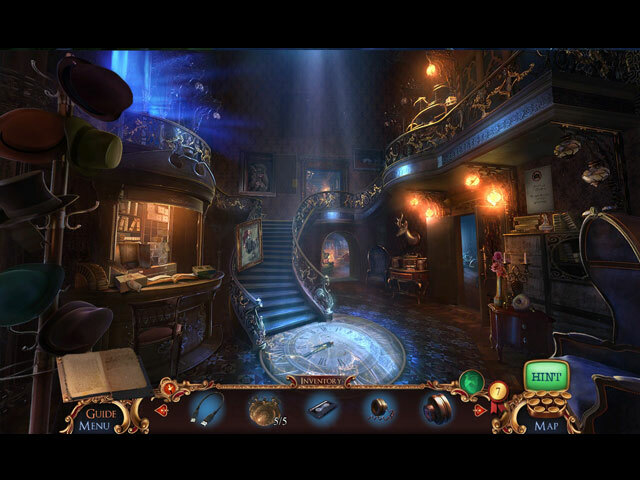 The hidden object areas are as always sprinkled throughout the game and are standard fare. 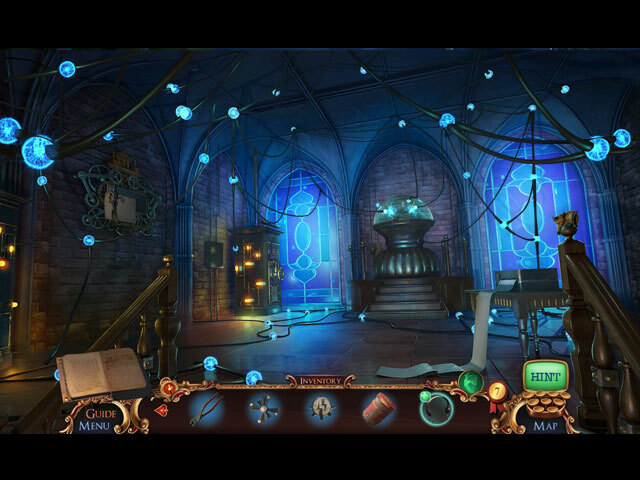 If however, you should find yourself at an impasse, then turn to our trusted Mystery Case Files Broken Hours Collector’s Edition Walkthrough to aid you with our customized screen shots and easy to follow instructions to help you through! If you are looking or a new adventure with nice graphics and a well-constructed story line then this one is for you! We hope you enjoy our Mystery Case Files Broken Hours Collector’s Edition Walkthrough!